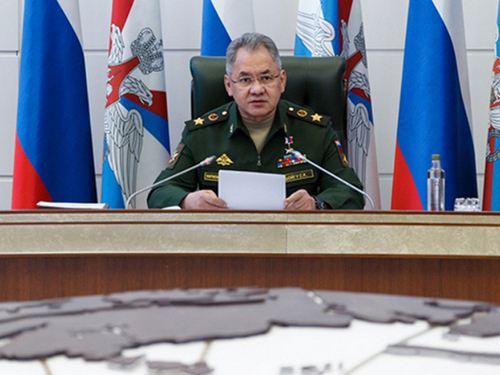 Defense Minister Sergei Shoigu, at a meeting of the board of the military department on March 27, announced plans to create a military-construction public law company. The initiative is supported by the President of Russia. MK asked the expert about the purpose and advantages of the new structure. The Minister of Defense noted that “the implementation of the project will make it possible to switch to a single non-commercial structure of the military-construction complex and give it the status of a sole executor.” He also noted the merits of a public law company. “Firstly, it provides an opportunity to withdraw the construction of military facilities from the commercial sector of the economy. Secondly, to ensure the maximum status of property security complex. And, finally, to guarantee the observance of state interests at the expense of a special regime of internal and external audit, ”the minister said. The active transformation of the military-construction complex of the Ministry of Defense began from the moment of the liquidation of the Spetsstroy of Russia in 2017. By that time, there were more than enough questions about the structure that had been created in Soviet times and had not been able to go straight to the rails of a market economy. Huge amounts of unfinished construction, low-cost “black holes”, disruption of deadlines for building important construction projects for the army and, finally, the criminal cases of contractors – all this made the Defense Ministry’s authorities take the extreme measure to abolish. But to build something in the interests of the army did not become less. On the contrary, the pace of construction of military infrastructure in recent years is simply a record. For example, in 2013-2018 more than 14 thousand buildings and structures were built. Moreover, if in 2013, 531 objects were commissioned, then in 2018 – already 3573. As they say, feel the difference. And now it has been determined who will replace Spetsstroy in the work on the construction of military infrastructure in the interests of the Ministry of Defense, including in the Arctic. At the board meeting of the Ministry of Defense discussed approaches to the formation of the organizational structure of the Military-construction public law company. As Sergey Shoigu noted, first of all it concerns “its branch network, determining the necessary property for exercising functions and powers, as well as lists of state contracts, obligations for which are to be transferred to the company”. – The benefit of such a company will be that it will ensure transparency and publicity of financial activities. This significantly reduces the risk of corruption among employees. The entire farm will be audited directly by the Accounts Chamber, as well as other financial control bodies – the Central Bank and Rosfinmonitoring. The form of a public, open non-profit company will allow not only to counteract, but to prevent corruption risks and carry out prevention. To fight corruption is to hit the tails, to warn it is a more effective way. As for the abolished Spetsstroy, it worked as a state militarized structure, which in fact was heavily controlled in terms of financial transactions and the fulfillment of government orders. It was created, in fact, in Soviet times, but was forced to act in market conditions, which gave rise to a lot of corruption risks. The new structure will be devoid of the Soviet “birthmarks” and the semi-commercial sins of Spetsstroy.